I am giving away two FREE tickets to Eligible Magazine’s The Dating Game. 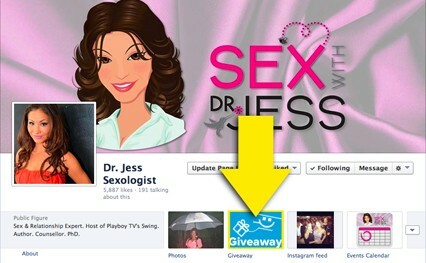 Visit my Facebook page HERE and click the “Giveaway” tab (as shown below) to enter. See you there! 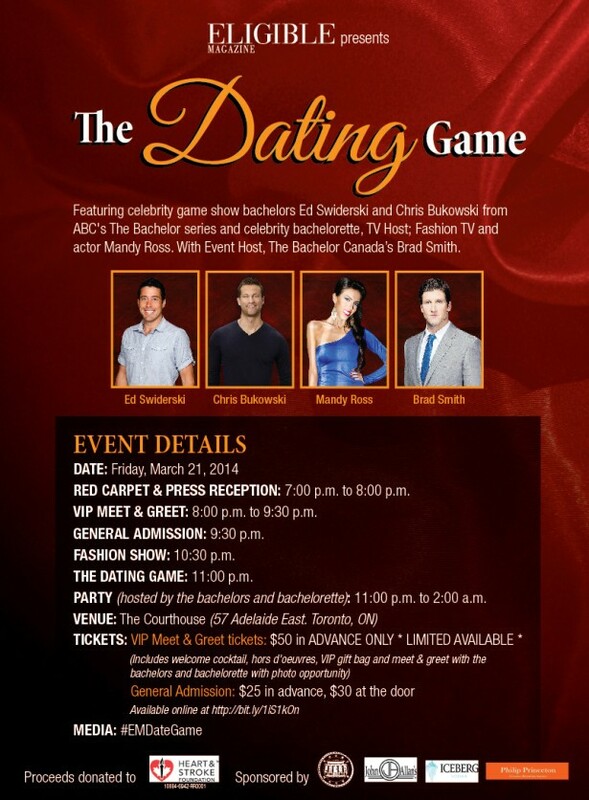 For a wonderful evening of entertainment, fashion, music, and fabulous company, join Eligible Magazine and celebrity game show bachelors Ed Swiderski and Chris Bukowski from ABC’s The Bachelor series alongside celebrity bachelorette Fashion TV host and actress Mandy Ross. Watch as these bachelors and bachelorette pick a date from one of the eligible contestants behind the curtain – only to be revealed upon selection! Hosted by the ever-so charming The Bachelor Canada’s Brad Smith, this event is sure to be one of the most talked about of 2014. VIP attendees will have the opportunity to mingle with the celebrities in an exclusive cocktail Meet & Greet before the event. VIP’s will also receive a welcome cocktail, hors d’oeuvres, a photo opportunity with the celebrities, and access to the The Dating Game and after party. General admission tickets are available at an early bird rate (Buy Tickets Online), or at the door – but tickets are limited!!!! Don’t miss out on the unique opportunity to take part in Eligible’s first ever The Dating Game.